Tangled and True: I've been busy. I haven't had anything to do since moving. 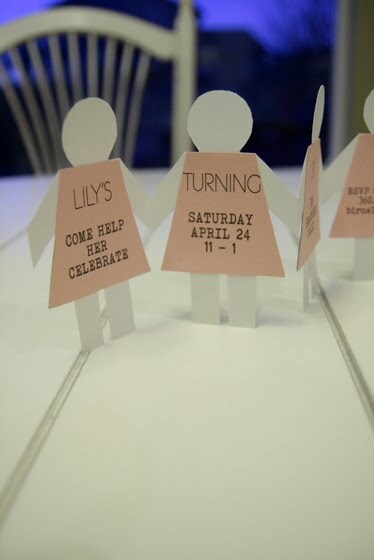 So I took on the massive project of hand making/cutting these paper doll invites for Lily's birthday. I really love them though, and I'm glad I did. I'm hoping that the invitation will get people to bring their kids even though we're so new. Hopefully it works cause I'll have one very sad little girl if it doesn't. Stella changed from a rainbow party to a fairy party at the last minute, I had big ideas, but honestly after the time I spent on Lily's I had to come up with something a little easier for her. I still think they turned out cute. Let's hope I can pull their parties together in the next week! *suggestions for either party (paper doll theme and fairy theme) encouraged and appreciated. Find some sparkly body glitter that they can brush on each others' cheeks. Paper doll party- they could make paper dresses for themselves (as if they were the paper dolls) out of elastic and tissue paper. Have the elastic pre-sewn/pinned into a loop (for the waistband) and the tissue paper pre-cut into strips that they can loop around the elastic and tape down. It would turn into a tutu type skirt. 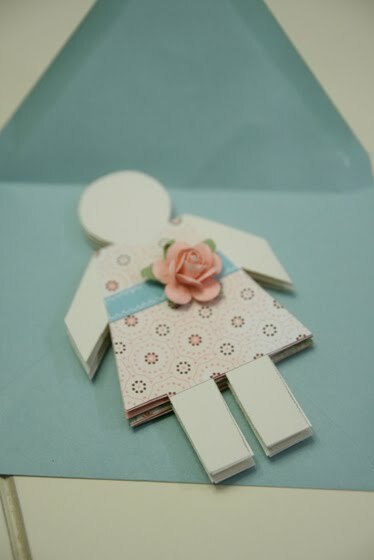 i love the paper doll idea! that is great, i had thought of making giant paper dolls that they each could decorate to look like themselves but i might like this idea better! You're welcome! I will love to see what you come up with! i once saw paperdoll angels cut out and covered with glitter using pages from an old church hymn book: they were gorgeous and oldtimey. Man, this makes me SO want a little girl (I have two awesome boys though). Ideas. I actually read a little bit about a fairy party. One idea I liked is that there could be a fairy's treasure hunt and you could have each girl have a cute little container to get the 'treasures' which could totally be everyday items, like buttons, old pieces of jewelry parts...and sprinkle where they are at with 'fairy dust'. Just an idea. I don't have much else, it's all cars, robots, and dinosaurs around these parts! I LOVE that invitation. So sweet. I would totally go to that party. Your kids are going to have a ton of friends before you know it (thanks to all your hard work). 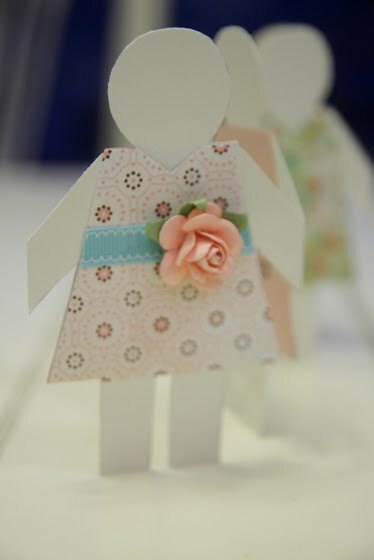 LOVE your paper dolls invites! Adorable. First thing I thought of for a paper doll party was playing a game of "pin the clothes on the paper doll." lol! Good luck with your parties! Doll party- clothespin doll making; have a picture station where you leave a cut-out for the head and then draw a paper doll body on the board-does that make sense? I can see it in my head.